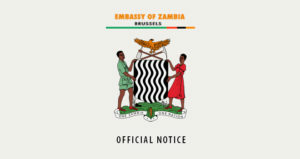 The Government of the Republic of the Zambia and the Government of the Kingdom of Belgium today held bilateral talks aimed at strengthening bilateral relations and cooperation between the two countries which culminated into the signing of a Memorandum of Understanding on bilateral consultations. During the meeting, the Minister of Foreign Affairs, Hon. Joseph Malanji, MP, conveyed a message of goodwill from his Excellency, Mr. Edgar Chagwa Lungu, the President the of the Republic of Zambia to his Belgian counterpart His Majesty King Phillipe and reaffirmed the need to strengthen bilateral relations between the two countries. 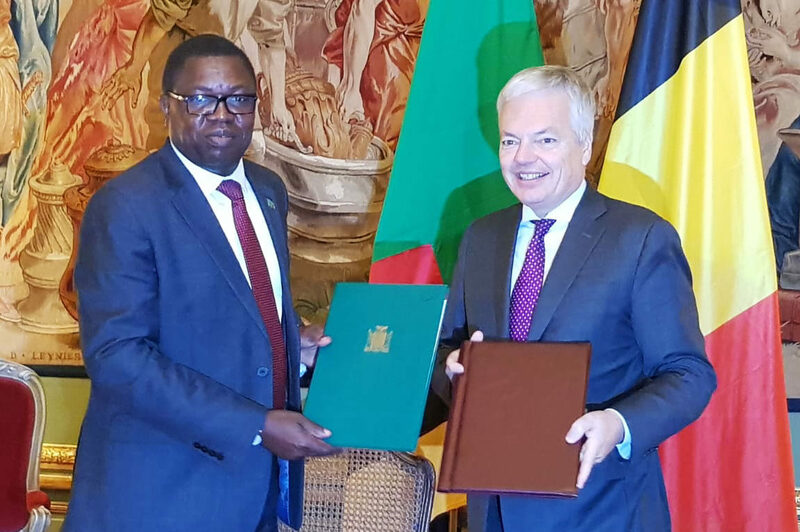 The Minister expressed happiness with the already existing bilateral engagements between Zambia and Belgium and called for further deepening of the relations and cooperation for the mutual benefit of the two countries. Speaking before the signing of the MOU with his Belgian counterpart Excellency Mr Didier Reyders, the Foreign Minister noted that consultations and exchange of information on bilateral, regional and international issues of common interest will contribute to the deepening of mutual understanding as well as further develop the relations of friendship between the Kingdom of Belgium and the Republic of Zambia for their greatest benefit. “it is the desire and commitment of the Zambian Government to further strengthen bilateral relations and to continue working with the Belgian Government in order to increase economic and social cooperation for the mutual benefit of our two countries. I wish to state that the Zambian Government is in the process of diversifying its economy and is eager to work closely with the Belgian Government in priority areas such as agriculture, energy, tourism, infrastructure, business and value addition as outlined in the country’s Seventh National Development Plan (7NDP)” Hon. Malanji stated. In response, His Excellency Mr. Didier Reyders indicated that a trade and investment mission, organized by the Belgian government, would be travelling to Zambia in January, 2019 to explore trade and investment opportunities. The mission will comprise of officials from the Belgian government and representatives of private sector businesses from Belgium. In addressing issues of peace and security in the SADC region, Hon. Malanji expressed gratitude for the support that the Belgian government, as a member of the European Union, has continued to render to Zambia being the chair of the SADC organ on politics, defense and security. “As the chair of SADC organ on politics, defense and security, I wish to reaffirm that Zambia will continue upholding the tenets of democracy, champion human rights and reverence justice in the region and the African continent at large” said the Foreign Minister. In August this year, Zambia assumed the chair of the SADC organ on politics, defence and security. As a chair, Zambia is responsible and mandated for promoting peace and security in the region and mandated to steer and provide member states with the direction regarding matters that threaten peace, security and stability in the region. The Foreign Minister who is accompanied by his Permanent Secretary for International Relations and Cooperation’s Amb. Chalwe Lombe and other senior government officials is scheduled to pay a courtesy call on Dr. Patrick Gomes, Secretary General of the African Caribbean and Pacific Group (ACP) before departing for Berlin, Germany for further international relation engagements.